PayPal second quarter earnings were in yesterday (July 25), and despite the fact that PayPal beat analysts’ expectations on revenue, usership and earnings (and announced that its board had approved $10 billion in buybacks), its stock price still fell sharply in after-hours trading. PayPal’s predictions came in a bit below Wall Street’s forecasts for Q3 revenue, and the market reacted accordingly, docking PayPal’s share price about 4 percent and ending its recent hot streak of growth on the market. Hiccup aside, CEO Dan Schulman told investors on the traditional post-release call that, coming out of Q2, PayPal is all-systems-go, and anticipating an active back end of 2018. PayPal’s earnings per share (EPS) came in at 58 cents, bringing net income to $703 million, a sharp increase from $554 million announced at this time last year, and a penny ahead of the 57-cent EPS projected by experts pre-release. Revenue clocked in at $3.86 billion, ahead of the $3.81 billion forecasted by Thomson Reuters and a 23 percent increase on the $3.14 billion PayPal reported a year ago. Those latest results mean PayPal has beaten adjusted earnings estimates every quarter since its 2015 split from eBay. PayPal also reported that its user base increased by another 7.7 million, bringing its total user base to 244.7 million worldwide. For those accounts, the average number of payment transactions per account on an annual basis came in at 35.7, a 9 percent increase since 2017 that netted out to 2.3 billion transactions total and a 28 percent increase year on year. All in all, PayPal made $139 billion in total payment volume (TPV), running about equal with estimates and representing an increase of 29 percent year over year. PayPal had no official head count to offer when it came to its peer-to-peer (P2P) service Venmo, though Schulman did say during the investor call that “net new actives hit another all-time record high in Q2.” As for hard numbers, PayPal did release that it had processed more than $14 billion in volume during the quarter, a 78 percent increase from a year ago. Schulman also noted that its new monetizable service for Venmo — which gives customers instant access to their funds for a small fee — has turned out to be popular, with 17 percent of users tapping into it. PayPal also pointed out its growing strength in mobile channels. Schulman told investors that PayPal’s mobile growth was 49 percent year over year in Q2 2018, with almost $54 billion of mobile volume processed in the quarter. 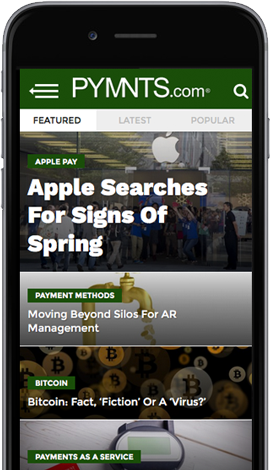 “Mobile checkout now represents 39 percent of our total payment volume,” Schulman told investors. For the September quarter, PayPal forecasted revenue growth of 12 percent to 13 percent, slightly below the 14 percent year-on-year revenue growth analysts had anticipated, which sent PayPal’s stock down in after-hours trading. On the whole, however, it’s been a strong year for PayPal investors, with shares up 57 percent in 2019 — the S&P 500 (where it is listed) is up 14 percent on the year, by comparison. The past quarter, particularly in its waning last few weeks, has been particularly active for PayPal, which has moved to acquire Simility, Hyperwallet, iZettle and Jetlore. Schulman addressed all four recent acquisitions — and their strategic importance to PayPal’s total vision of itself as a global payment network. During the Q&A with the investors call, Schulman fielded several questions about PayPal’s P2P in general, Venmo specifically. The concern for investors was about competition in the field, and whether Venmo can continue to grow and expand at its historically rapid rate with the market having become more crowded over the last several years. “We’re operating in what we think is $100 trillion total addressable market, which is rapidly digitizing as online and offline is blurring. And we have a very small share of that total [total addressable market (TAM)]. So, it’s very early innings,” he said. However, he went on to note that the company feels good about its ability to stand up and continue to play in later innings because of the strength of the product, enthusiasm among the fan base, and plans (still unspecified) to diversify the services offered within the P2P platform. “Really, Venmo users tell other users about the product and platform. And so that has allowed us to really not have to spend a lot on marketing. Certainly, though, as we see good traction with these things, we will absolutely think about how we can augment that,” said COO Bill Ready of the expanding P2P platform. He noted that PayPal does not need to “artificially create demand” for Venmo because the demand is being generated automatically by users. Schulman added that, unlike some of its competitors that offer point solutions or point products, PayPal’s ambition is wider.